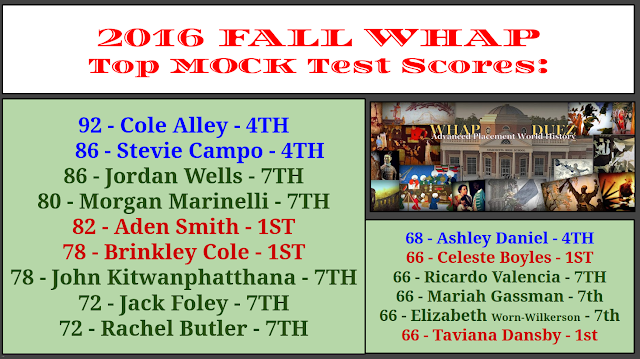 World History Advanced Placement with Mr. Duez: FALL MOCK AP TEST TOP SCORES - Congrats! 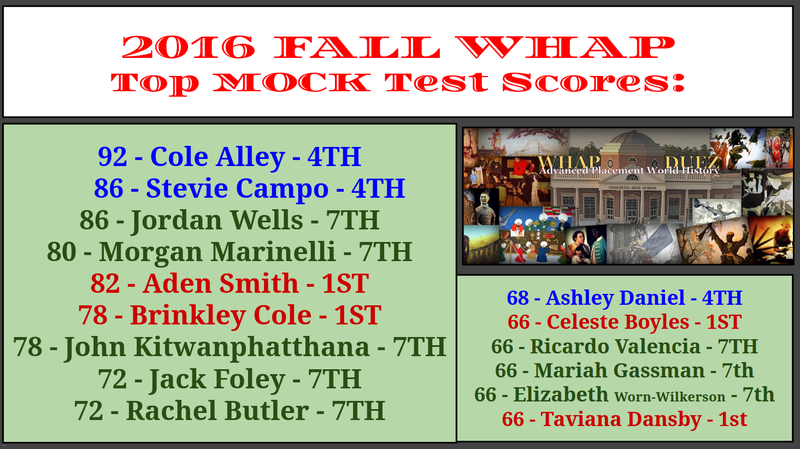 FALL MOCK AP TEST TOP SCORES - Congrats! 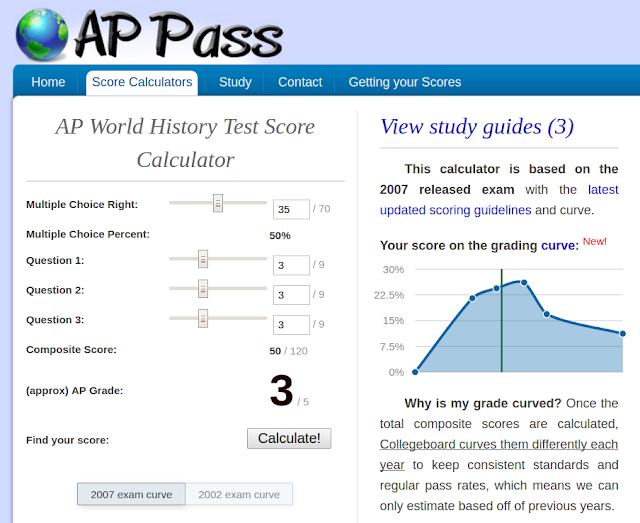 A score of 50% would get a "3" if they scored 3 of the 9 points on both FRQs. However, this is based on the old version of the test and not the new 2017 version. Still it is a solid estimate of what type of performance you would need.